Office Tomisaka shall comply with the Act on the Protection of Personal Information and other related laws and regulations, regarding the personal data it possesses, and shall handle such information appropriately in accordance with the Office Tomisaka’s policy set forth below. ・details of how you like to interact with us, and other similar information relevant to our relationship. ・sexual orientation (for example, if you provide us with details of your spouse or partner). We may also process personal data relating to ethnic or racial origin (for example, any multicultural networks you belong to). ・Any other purposes necessary for the appropriate and smooth performance of our services. We will use personal data only for the above-mentioned purposes, and will not use such information for other purposes without the consent of individuals. Unless we have our client’s consent, we will not provide any personal data to any third party. When we receive a request based on such right, we will conduct any necessary investigation. We may transfer some information about you to countries outside the European Economic Area that have less stringent data protection laws. When we do this, we will make sure your information remains adequately protected. We will comply with applicable data protection requirements and take appropriate measures to ensure the security and integrity of your personal data. ・the period in which litigation or investigations might arise in respect of the services. The handling of personal information by the Attorney of labor and social insurance (Social Security Specialist) is required to have a duty to keep information confidential under the Social Insurance and Labor Service Act. And it is also required to be properly handled from the viewpoint of compliance with the business ethics. With the full enforcement of the Personal Information Protection Law, Japan Federation of Labor and Social Security Attorney’s Associations established the “SRP Certification System”, a certification system for the protection of personal information, in fiscal 2008. 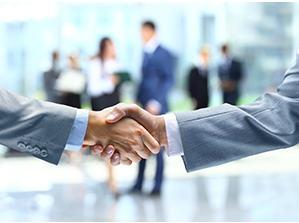 It is the only certification system among legal professionals in Japan. 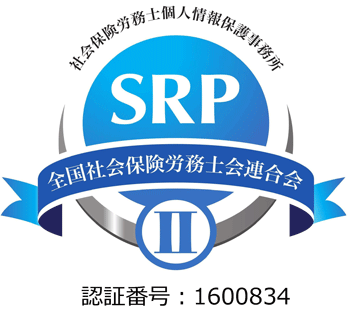 In addition, in response to the start of the operation of the Social Security and Tax Number System (My Number system) from 2016 and its safety control measures, Japan Federation of Labor and Social Security Attorney’s Associations has renewed to the SRP II certification system.